All things considered, 2019 has had a dismal start within the context of wildlife protection. Just last week we saw giraffes officially listed as endangered. This week, we’ve received news of another beloved thing becoming endangered, and this may hit a little closer to home for people who need a cup of joe every morning to stay alive (so basically, most of the workforce). Wild coffee beans are now endangered. Just a quick refresher: Arabica is the most popular coffee bean in the world. It makes up 70 percent of coffee production, and many people consider it far superior to other beans. We grow it locally too, most notably in the Cordilleras and Mindanao, but these aren’t local crops. In fact, the bean only grows in two countries: Ethiopia and South Sudan. 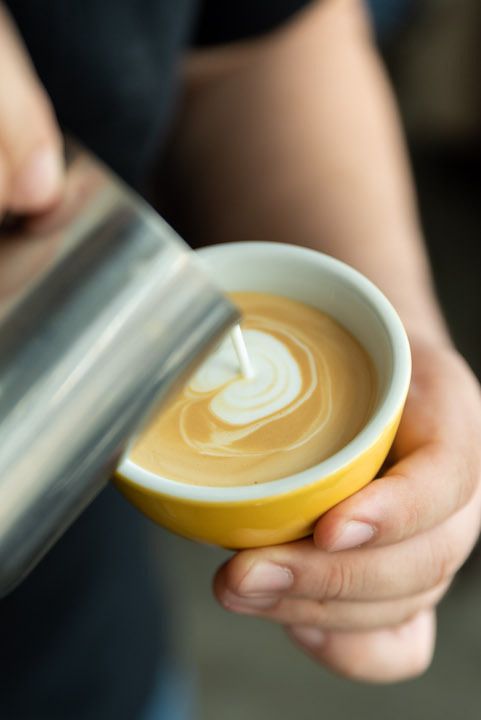 Sadly, arabica as well as 60 percent of other coffee bean types have now been found endangered, according to this study conducted by the Royal Botanic Gardens, Kew. It was commisioned by the International Union for Conservation of Nature, which is in charge of the global Red List of threatened species. A huge reason for this is climate change. Because of the world’s changing weather patterns brought about by so, so much pollution, many plants, unable to keep up, are dying. Many of the areas that used to be viable for them to grow on just aren’t anymore. And if you know anything about arabica production, you’d know that arabica is a particularly fussy crop, and it needs specific conditions in order to grow. Another reason is more social in nature: deforestation. We’ve seen it happening everywhere. Land is being stripped of its trees; the National Geographic reported that if the current rates of deforestation continues, we won’t have any more rain forests. The two South African countries where many coffee beans naturally grow are no different. There are many protected areas for crops, but “a lot of those protected areas are still under threat from deforestation and encroachment, so it doesn’t mean they are secure,” Aaron Davis, head of coffee research at Kew, told AFP. What’s worse is that the people who will be hit by it the most are the farmers themselves. Ethiopian coffee farmers are already mired in poverty, and the loss of wild coffee beans directly affects their livelihood, making things worse. This is why they’re been described as “on the front lines of climate change,” since they are the first people to be greatly affected by it. You might ask: so what if coffee becomes extinct in the wild? The cultivated varieties are still fine, right? Not quite. As the BBC (way back in 2015, because researchers were already worried about the status of wild coffee then) notes, wild coffee varieties are needed to ensure the genetic diversity of crops. If a plant type isn’t genetically diverse, it’s more susceptible to disease. Think of it like inbreeding: If all crops stem from the same plant, there won’t be a genetic diversity, and qualities that make the plant weaker will be passed on. The BBC article also stresses that coffee “has its foe” in the form of coffee leaf rust. It’s a type of fungi that causes a plant leaf to yellow (thus “rust”) and drop, making the plant unable to generate a crop. This has wiped out many plantations. The Philippines, in particular, was badly hit by it in the late 1900s. At the time, the country was a leading exporter of coffee beans, but the fungi virtually destroyed all of the coffee trees we had. By the time the country recovered, we already lost our title as the leading world producer. So there you go. We all know that the effects of climate change is catastrophic (we even have a deadline to change before the effects become permanent! ), and this is just an example of how our irresponsible actions towards the environment is hurting us. Fun.